In this blog series, we are going to look at how the effects of cosmetic dentistry ripple beyond the reflection in the mirror and what procedures are available to you at Library Plaza Dental that will improve your smile and your life. 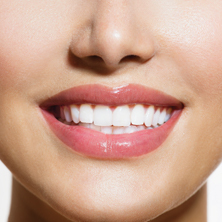 We will cover implants, veneers, and Invisalign among other procedures. When you hear the words cosmetic dentistry, you might be tempted to write it off cosmetic dentistry procedures as superficial, even vain, attempts to make your exterior look better. We hear over and over in our lives that beauty is skin deep and that what really matter is inner worth and character. Of course, character, ethics, and a positive personality win out in the long run of a relationship but it would be false to say that people don’t react to exterior appearances of other people. According to an article in MIT News, a person uses half their brain to process visual information. The parts of the brain used to process visual stimulus (or stimuli?) are also used in processing speech, motor actions, auditory, speech, and other cognitive processes. This mean that visual information is associated with unknown numbers of cognitive tasks and judgments. When we think about the subconscious judgments that can be made in time, measured by electric impulses of synapses, the importance of appearance increases. Our superficial appearance has meaning and consequence that science is only beginning to understand. The word cosmetic has several meanings, and while one meaning is “only” the appearance of something and not its substance, another meaning is “involving…treatment to restore or improve a person’s appearance. Cosmetic dentistry offers people ways to improve their appearance and this change their impact in interactions with other people. You may well ask how a smile can make a difference in interactions between people and that is what we will cover in our next blog. Call your cosmetic dentist in Des Plaines for a consultation appointment to see how cosmetic dentistry can change your smile, your appearance, and your life.